This product need 3-7 days to arranging the flowers. A beautiful real touch artificial orchid flower. 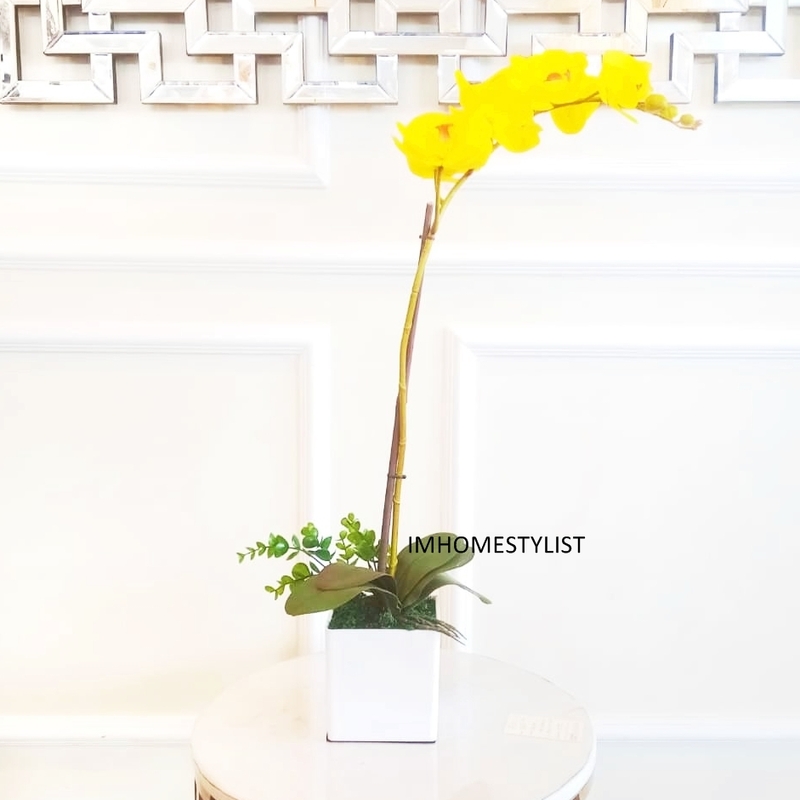 This set of yellow flower consist of one stalks of artificial orchid with some artificial moss and leaves (including the vase).